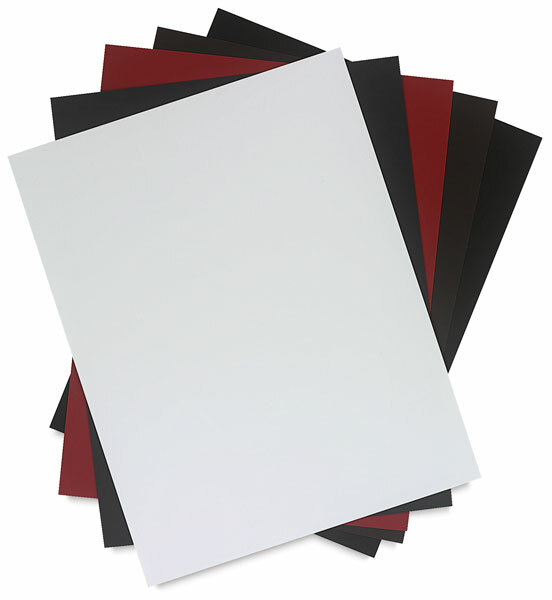 Plike, a name derived from "plastic-like," is an innovative, unique paper with a smooth, pleasant touch evocative of both plastic and rubber. An ecological response to the industry's use of plastic materials, Plike offers the simplicity and versatility of traditional paper, yet appeals to those designers who look for new sensations and sensuous inspirations. Machine-made in Italy of 100% sulphite, Plike is great for charcoal, pastel, and silverpoint. Its myriad applications include offset lithography, silkscreen, thermography, blind embossing, and foil stamping. The 28" × 20" (71 cm × 51 cm) sheets won't rip, making them ideal for banners. ® Plike is a registered trademark.